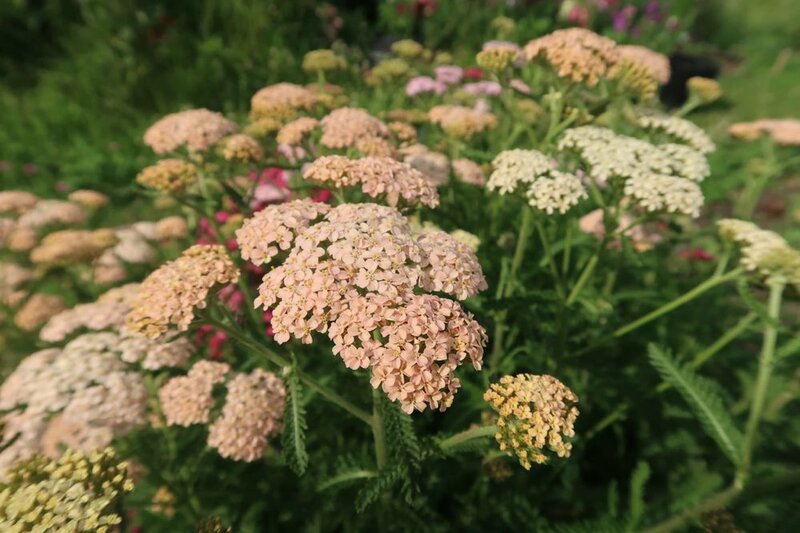 Yarrow is so useful-- it's going into almost every store bouquet I make right now. It's beautiful, comes in tons of colors, and is an almost no-care perennial that's thriving in the driest, poorest parts of the garden. I'm liking it so much that I AM caring for the plants-- feeding and watering them as I cut more and more flowers, as I want them to keep blooming. But I never cut off all the flowers, as pollinating insects adore this flower and I like to leave a few flowers of each kind standing, for the bees, butterflies, and hummingbirds that inhabit my garden. Newer PostIn Season in August. . .